Too often the sustainability of research and conservation efforts is compromised because local communities are not effectively involved. We undertake a comprehensive multi-level approach to help ensure sustainability by training, educating, sponsoring, and employing young Zambian wildlife professionals from the secondary school level through to international graduate programs. Collectively, this helps to ensure that Zambia’s best and brightest have the opportunity to contribute their talents to wildlife conservation now and into the future. ZCP Researcher and Educator Lameck Sakala, a graduate of ZCP collaborative Conservation Club programmes himself, conducts a tracking exercise with students in Kafue. In order to help provide students with skills and experience for advanced education and employment upon graduation ZCP’s secondary school programmes work with Conservation Clubs at each of our field sites. We emphasize adventure-based learning, wherein students conduct their own scientific research in collaboration with ZCP and DNPW, which in turn helps provide students with key skills in computer literacy, technology, critcial thinking, writing and public speaking skills essential for careers after secondary school. Many of the students in this programme have continued in conservation and advanced education, with a number working for ZCP full-time upon graduation. We work with a number of educational partner organizations, including Chipembele Wildlife Educational Trust and TreeTops School Camp. Citizen Science initiatives can play key roles in conservation, particularly across vast landscapes with low-density and wide-ranging threatened species. Given that safari guides are out every day observing carnivores, we work with guides across the country on collaborative monitoring projects, with the Luangwa Valley Carnivore Monitoring Project and in collaboration with Panthera on the Kafue Carnivore Coalition. These data and collaborations have greatly expanded our knowledge and ability to monitor and conserve these species. As part of our community outreach and education work ZCP hosts an annual Carnivore Cup Football Tournament across the chiefdoms in our study area. The multi-week tournament provides an excellent opportunity to promote carnivore conservation, and the championship is held in concert with Conservation South Luangwa’s Annual Fun Run, which attracts more than 5,000 community members and has been attended by Guests of Honor such as Zambian Football Legend Kalusha Bwayla. ZCP Ecologist and Education Coordinator Henry Mwape also directs the Mimbulu (local word for African wild dog) Boys Football Academy—a local boys football team that serves as community ambassadors for carnivore conservation. In addition ZCP works with local theater group SEKA (Sensitisation and Education through the Kunda Arts) to promote community understanding of our collaborative conservation work through humor and theater. Women are underrepresented in the conservation sector in general and in conservation science in particular; thus this programme is aimed to increase participation and involvement by women. 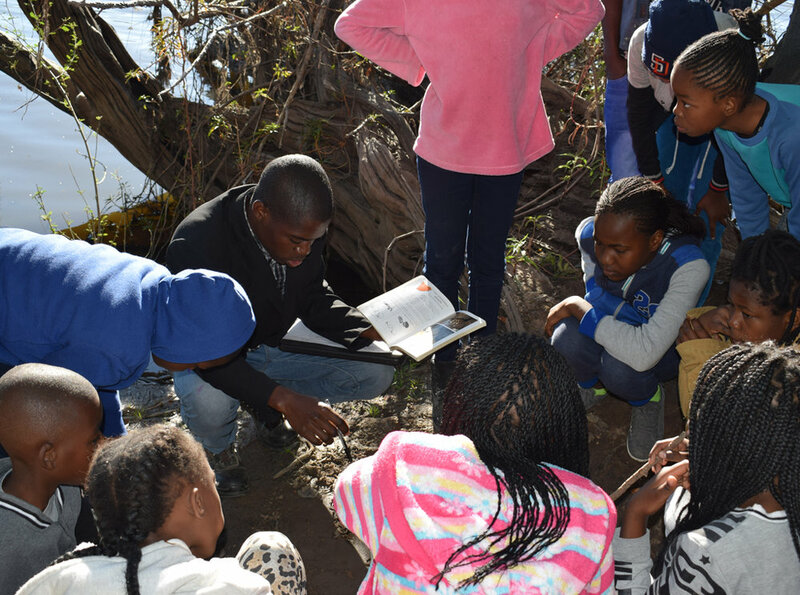 Led by 2016 National Geographic Emerging Explorer Thandiwe Mweetwa trainees receive intensive instruction in all aspects of conservation work and are also integrated into secondary education and community education and outreach work. With long-term projects across the country, ZCP’s field sites offer unique opportunities for aspiring Zambian conservationists to acquire practical field experience in ecological research and monitoring and all aspects of conservation biology, particularly given the scarcity of field-based courses and training. A wide array of skills are needed for such work and students undergo intensive training in the theory and practice of ecological research, as well as hands-on training in Land Rover and motorbike servicing, repair, recovery and 4x4 driving skills, Wilderness First Aid and CPR and community outreach and education. Following training students are then typically employed full-time on our ZCP field teams; many of our staff and graduate students are former trainees from this programme, and often have graduated from our Conservation Club programmes (above) before enlisting in Conservation Biologist Training. Vet student and trainee Fitzgerald Mukumbi assists CSL/ZCP vet Dr. Mwamba Sichande to de-snare a lion. With an array of wildlife veterinary work ranging from immobilizations for research and de-snaring, to treating poisonings and mitigating disease, this programme is aimed at giving prospective and current Zambian veterinary students interested in pursuing careers in wildlife conservation the opportunity to gain hands-on experience and skills under the tutelage of ZCP-CSL Vet Dr. Mwamba Sichande and ZCP Vet Dr. Kambwiri Banda and our field teams. Trainees assist in all aspects of the work, ranging from de-snaring of carnivores and herbivores, to assisting in radio-collaring, to providing support to Dr. Sichande in all aspects of running his domestic animal clinic. Trainees range from Conservation Club graduates, to entering vet school students, to students currently in vet school and assisting on their term breaks. Collectively the programme has greatly assisted local students interested in pursuing careers in veterinary conservation. Zambian student George Phiri poses with one of several top student honors he earnedfrom his ZCP sponsorship to the Southern African Wildlife College. Working closely with DNPW collaborators, ZCP supports professional training and advanced education opportunities for DNPW scouts and their families, as well as for outstanding individuals pursuing careers in conservation. Support ranges from scholarships for diploma programmes at the Southern Africa Wildlife College, to degrees in wildlife and resource management at Zambian universities, to Wildlife Immobilization Courses for DNPW veterinarians, to support with advanced education for scouts’ children. Montana State University graduate student Dr. Wigganson Matandiko (L) poses with his newly-minted Ph.D. and his academic advisor Dr. Scott Creel. With some of the longest-running ecological projects in the region, ZCP’s collaborative work provides opportunities for Zambian wildlife professionals to obtain graduate degrees at top international institutions. To date we have graduated three Masters and Ph.D. students from Montana State University and University of Arizona, with three more currently enrolled or slated for study. Students work on an array of pressing carnivore conservation issues and have received prestigious scholarships for their work--including Fulbrights and Karen Fuller Fellowships—and have occupied important conservation positions in Zambia upon graduation. ©2017 Zambian Carnivore Programme. All Rights Reserved.